Life on the coast has tremendous benefits; steady sea breezes, gorgeous beaches, plentiful fishing and paddling opportunities. Nevertheless, there are definite downsides to living along it, too. Besides storms like Hurricane Harvey making semi-regular appearances, our proximity to the water can make us more vulnerable to flooding and waterborne hazards ranging from bacteria to jellyfish. 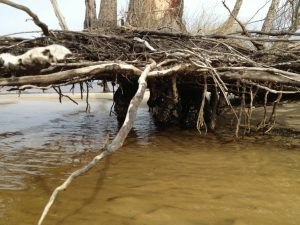 One year-round problem for those living directly on a shoreline is erosion. Causes for shoreline erosion are wide-ranging; heavy boat traffic, foot traffic, storms, lack of vegetation with anchoring roots, and sea level rise. Many homeowners experiencing loss of property due to erosion unwittingly contribute to it by installing seawalls. When incoming waves hit the hard surface of the wall, energy reflects back and moves down the coast. Often, an adjacent homeowner will experience increased erosion and bank scouring after a neighboring property installs a seawall. This will often lead that neighbor to install a seawall themselves, transferring the problem further. 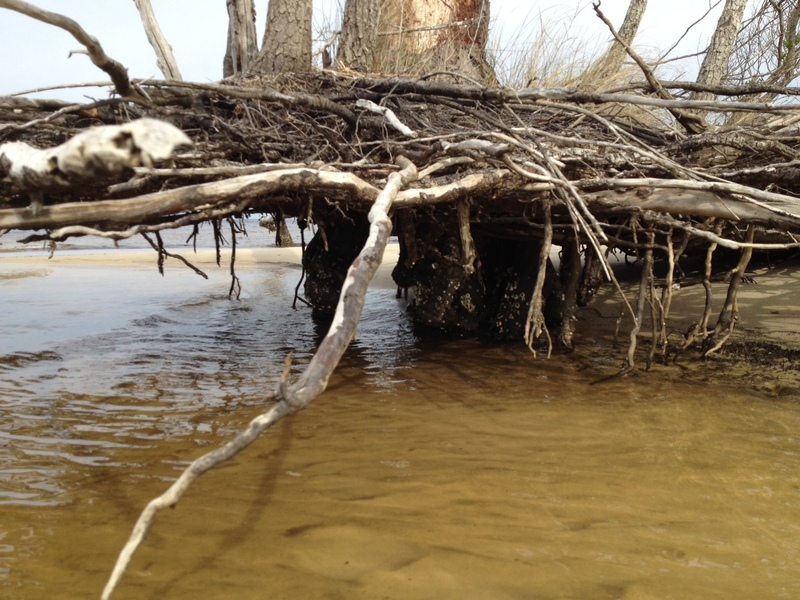 Currently, south Louisiana is experiencing significant coastal erosion and wetlands losses. The problem is compounded by several factors, including canals dredged by oil companies, which damage and break up large patches of the marsh. Subsidence, in which the land is literally sinking under the sea, is happening due to a reduced load of sediment coming down the Mississippi River. 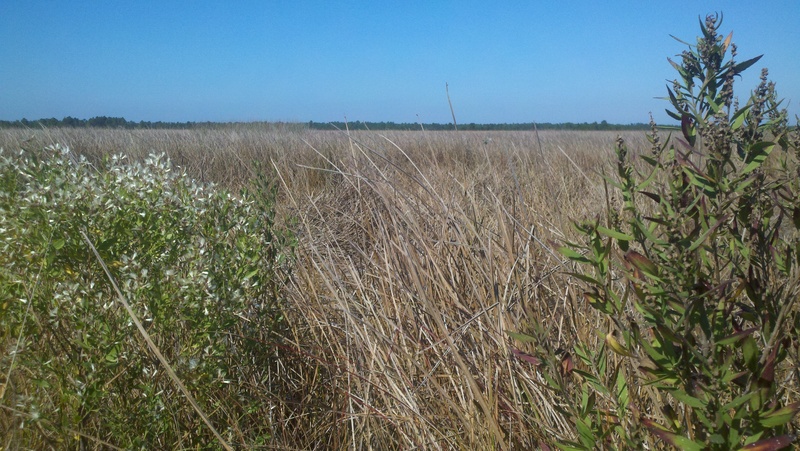 Sea level rise has contributed to erosion, and most recently, an invasive insect has caused large-scale death of over 100,000 acres of Roseau cane (Phragmites australis). Add the residual impacts from the oil spill, and you can understand the complexity of the situation. Luckily, there are ways to address coastal erosion, on both the small and large scale. 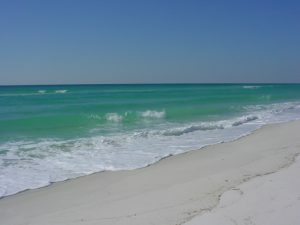 On Gulf and Atlantic beaches, numerous coastal communities have invested millions in beach renourishment, in which offshore sand is barged to the coast to lengthen and deepen beaches. This practice, while common, can be controversial because of the cost and risk of beaches washing out during storms and regular tides. However, as long as tourism is the #1 economic driver in the state, the return on investment seems to be worth it. 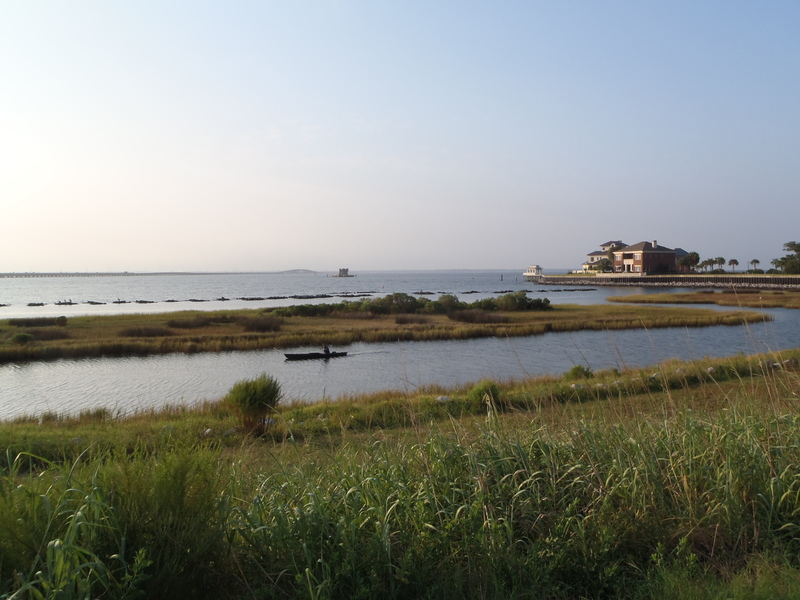 On quieter waters like bays and bayous, living shorelines have “taken root” as a popular method of restoring property and stabilizing shorelines. 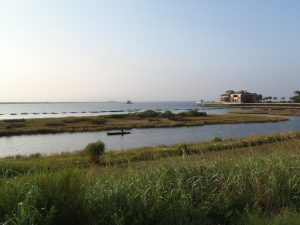 This involves planting marsh grasses along a sandy shore, often with oyster or rock breakwaters placed waterward to slow down wave energy, and allow newly planted grasses to take root. In 2011, a group of neighboring property owners along the bayou decided to take action. After considering many repair options, the neighbors decided to pursue a living shoreline based on aesthetics, long-term viability, installation cost, maintenance cost, storm damage mitigation and feasibility of installation. By 2017, the living shoreline was constructed. Oyster shell piles were placed to slow down wave energy as it approached the transition zone from the long fetch across the bayou, while uplands damage was repaired and native marsh grasses and uplands plants were restored to slow down freshwater as it flowed towards the bayou. Sand is now accruing as opposed to eroding along the shoreline. Wading shorebirds are now a constant companion and live oysters are appearing along the entire 1,200-foot length. Additionally the living shoreline solution provided access to resources, volunteer help, and property owner sweat equity opportunities that otherwise would have been unavailable. An attribute that has surprisingly appeared – waterfront property owners are now able to keep their nicely manicured lawns down to within 30 feet of the water’s edge. At that point, the landscape immediately switches back to native marsh plants, which creates a quite robust and attractive intersection. (Text and information courtesy Charles Lurton). Successes like these all over the state have led the Florida Master Naturalist Program to offer a new special topics course on “Coastal Shoreline Restoration” which provides training in the restoration of living shorelines, oyster reefs, mangroves, and salt marsh, with focus on ecology, benefits, methods, and monitoring techniques. Keep an eye out for this course being offered near you. 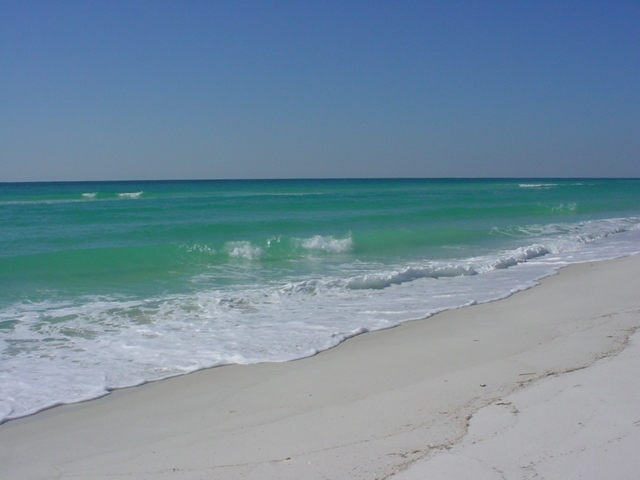 If you are curious about living shorelines and want to know more, reach out to the Florida Department of Environmental Protection Ecosystem Restoration section for help and read through this online document.